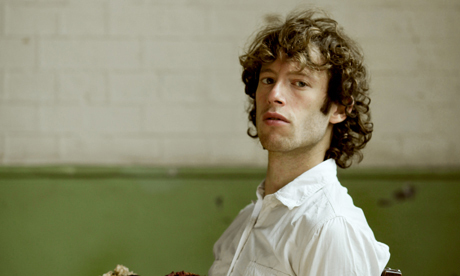 Sam Lee’s Mercury Prize nominated album, Ground Of Its Own, is the result of six years of complete immersion in traditional British folk music – but this doesn’t stop Hackney resident Lee from comparing himself to the King of Pop, Michael Jackson. “I disagree that my music is a world away from MJ’s,” he explains. “I have always been fascinated with his use of rhythm and his sound production techniques. I love the way he would replicate acoustic instruments. Take some of his disco stuff like ‘Don’t Stop Till You Get Enough’, it’s all acoustic instruments but it’s got this extraordinary modern contemporary sound. Lee believes that storytelling, something two of his musical heroes, Michael Jackson and Joni Mitchell, had down to a tee, is the basis for all traditional art forms, but that this has become more abstract as popular music has evolved. Lee passionately devotes himself to the folk scene, promoting shows in and around Hackney with his events company, The Nest Collective, which he formed in 2006. Its events have become very popular, winning the BBC Folk Club of 2010 award. Lee’s Mercury Prize nomination has helped boost the popularity of the nights and bring the lesser known fringes of folk music to a wider audience. Recent years have seen a surge in the popularity of folk music. Artists like Mumford & Sons and Laura Marling have brought folk back into the lives of the everyday music listener under the banner of ‘new folk’. The Nest Collective’s tag line, ‘New folk. Old folk. No folk.’ suggests Lee is not too keen on the label. Lee hopes his Mercury Prize nomination will capture the imagination of those who have already ‘been primed’ to enjoy this type of music by Mumford et al, and turn them onto his brand of ‘real, traditional, indigenous British music’. Longevity is at the heart of Lee’s campaign. He’s one in a long line of musicians and story tellers contributing to a timeless back catalogue of work and he plans to continue in this way for years to come.